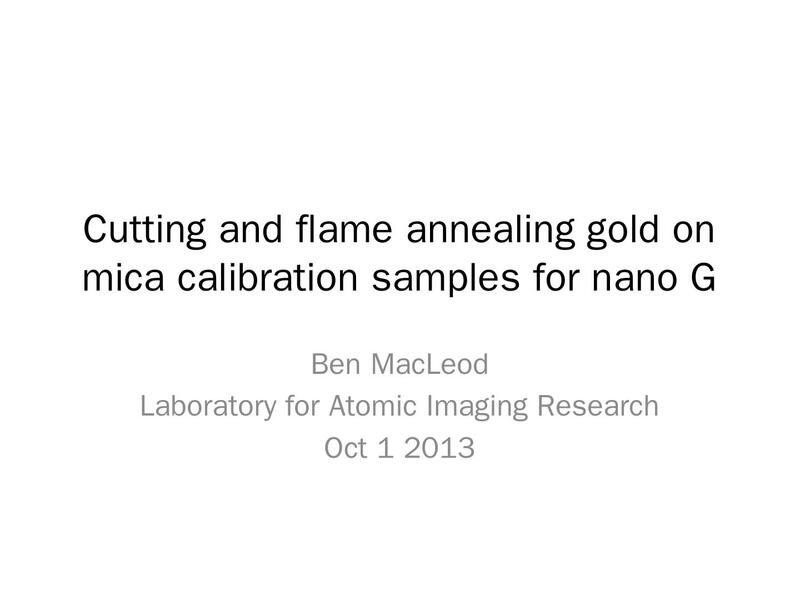 4.Inspecting a gold-on-mica sample cut with small scissors -cracking -crushing -peeling of film? 12.6 th run Annealed using hydrogen only flame Very broad flame, temperature slightly lower? 13.To do	Ask Sarah about quality of sample Ask people from Bizzotto group what they think Try in STM!